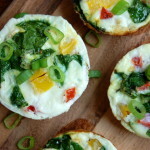 A unique way on how to cook egg whites is to make this Egg White Veggie Muffins. Muffins are the small versions of quick breads. It usually made of all-purpose flour, milk, yogurt, salt and sugar. As you can notice, most of the ingredients are not Paleo friendly. 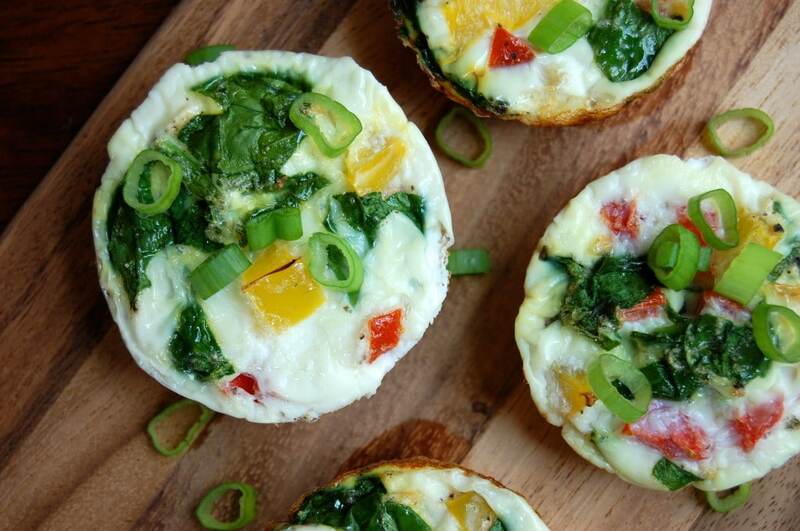 We made this Paleo Egg White Veggies muffins that are ideal for a quick breakfast on the go. With this breakfast you get protein and vegetables in the morning, which will get your day off to a good start. Healthy and guilt-free! We all know that eggs are a very good source of inexpensive, high quality protein. More than half the protein found on eggs are in the egg white. It is rich in selenium, Vitamin B6, Vitamin B12, Vitamin D, and minerals such as iron, zinc, and copper. It has a lower amounts of fat and cholesterol than the yolk. In this recipe, egg whites – available in most grocery stores – switch this recipe up a bit and make it cute & pretty. Add any of your favorite frittata fillings for your vegetables. In this version. we added red bell pepper, yellow bell pepper, fresh spinach, and green onions. This proves that you are still stuck in the “Ancel Keys” mode, meaning fat is the enemy, oh boy, this is so sad, and the reason that I will immediately unsubscribe from this site. When you start to become professional, and actually READ the thousands of randomised controlled trials, which prove beyond doubt that fat is NOT the problem, you might attract some subscribers. Woah “S” – simmer a bit. Yolks are great – they’re just not a part of this recipe. Sorry you had such an averse reaction one out of 200+ paleo recipe. Hope that’s not how your react to everything. I suggest you take a few minutes to read articles around our paleo site including this article and this one before jumping to conclusions. I know this is a super old comment, but it’s myopic crazy thinking. I searched for a yolk free recipe to cut some calories, plain and simple. I love, love, love eggs in all their glory, but whole eggs can add some serious fat calories and lone egg whites are a great, easy protein source. Maybe I want to get my fat form some healthy oil or avocados instead. With this recipe, I can have my eggs without cashing out all of my fat macros for the day. And you don’t have to break 24 eggs for the whites. You can usually purchase organic free range egg whites at your local health food store. Just curious, why no egg yolk? It’s just this recipe. Yolks are great. So what do we do with the 24 egg yolks? Since one can’t buy yolk-free eggs, or even ready made egg whites. I think this recipe is great. I enjoy eating egg yolk with my egg dishes but sometimes it is nice to opt for a lighter egg-white-only dish. This is exactly what I was looking for to cut some calories out of my weekday morning breakfasts, thank you.